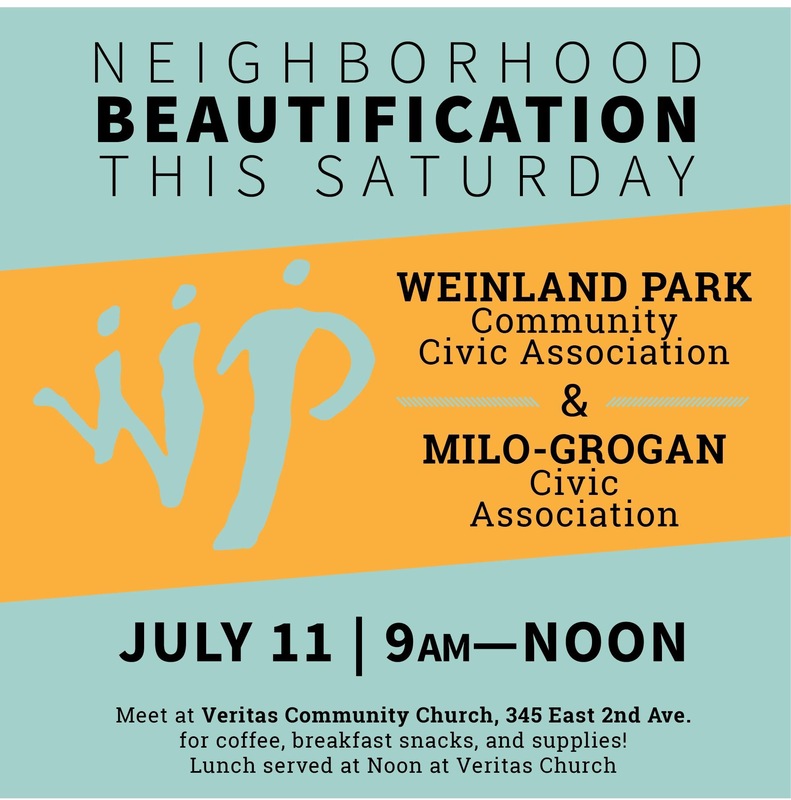 Join us July 11 from 9AM-12PM in Keeping Weinland Park Beautiful! We will be holding a joint community clean-up tomorrow Saturday, July 11th with our neighbors to the east, Milo-Grogan, from 9:00a.m. until Noon. Residents from both neighborhoods will meet at Veritas Community Church, 345 East 2nd Avenue where we will distribute everything you will need for the litter clean-up (gloves, trash grabbers, bags, maps etc.) as well as coffee, donuts, and fruit for volunteers. We also meet again at Noon also at Veritas Church to drop off supplies and have lunch together (Thanks to folks from Milo Grogan for getting lunch donated). You do not need to commit the whole event time, if you can only participate in a portion of the event, please feel to come for whatever portion you can attend. We would like to get an estimate regarding how many people can volunteer this Saturday, so please RSVP to mwilkos@columbusfoundation.org if you think you will be able to make it. Next Next post: Join Us at the Weinland Park Festival 2015 | Coming Back Home!